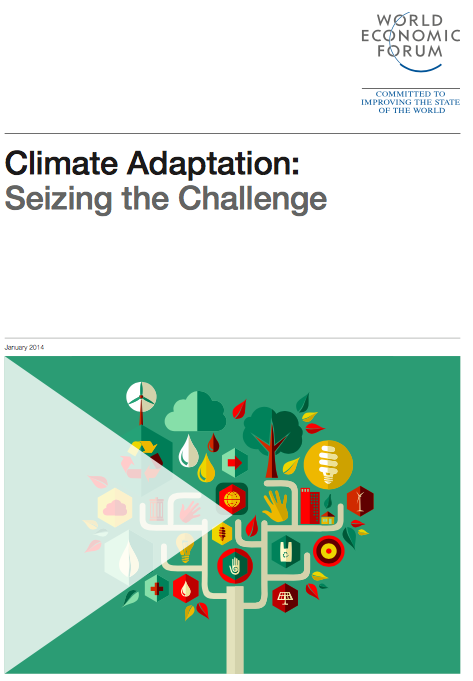 This publication is an attempt by selected experts from the Global Agenda Council on Climate Change to capture some of the latest thinking in the field of climate adaptation and financing, with the goal of assisting decision makers in both public and private sectors to gain a better understanding of this issue. The first chapter examines existing metrics that identify which countries and/or regions are most vulnerable to and least prepared for the effects of climate change. The second chapter then looks at how to assess the costs of climate change and what measures can be employed to avert them in a cost-effective manner. The third chapter looks at how to finance those measures, in particular how to use public finance to leverage private finance to fill the funding gap. Underpinning all these chapters is the crucial importance of looking at investments in a holistic way across the water-food-energy nexus, which is explored in the fourth chapter. Each chapter contains case studies that illustrate specific solutions and also suggests areas for further research. While this is an initial assessment, and certainly not the last word on this important topic, the overall aim of the publication is to stress that proper metrics and correct government incentives, underpinned by a solid understanding of the nexus between energy, water and food, can enable decision-makers to save lives and improve livelihoods in the face of growing climate change.